Posted on May 24, 2016 at 10:08 am. This weekend marks the official start to summer(! ), a much-celebrated event for us Michiganders who, lovers of all seasons that we are, also eagerly look forward to sunshine and warmth after months of snow and (sometimes) long stretches of grey sky. Memorial Day weekend also signifies a long-held tradition for many runners in this region—and beyond. It’s the Bayshore, a longstanding and increasingly popular Saturday event that includes a 10K, half marathon and full marathon. More than 7,000 runners will participate in the 34th Annual Bayshore races that take runners on a scenic tour of Old Mission Peninsula with its sweeping views of East Grand Traverse Bay and lush cherry orchards. This year’s half marathon finisher’s medal. 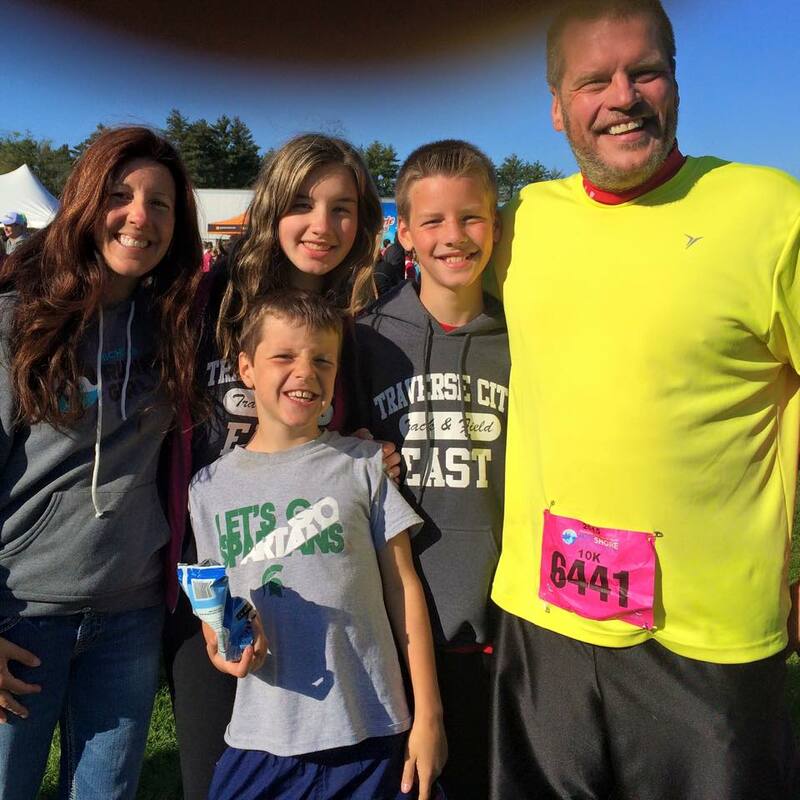 As many of you know, the Bayshore is a special race for me and my family; it was my very first marathon, in 2011, and I went on to run it again in 2013 and 2014. This year I signed on for the marathon but an achilles injury led me to pull out of training pretty early on. While I’m bummed about this, I also am incredibly excited to be cheering on my almost-16-year-old, Emma, as she runs her first half marathon at Bayshore this year. And Joe and our boys, Andrew and Alex, will run the 10K again. 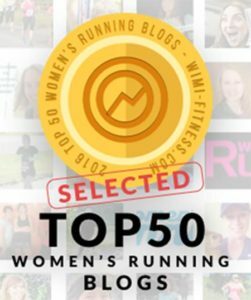 With so many Michigan Runner Girl readers and listeners planning to run this race, I reached out to numerous runner friends here in northern Michigan to ask what they like most about this event. 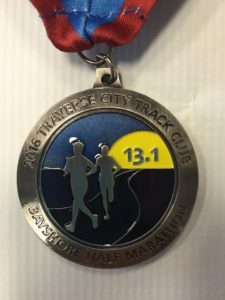 These generous friends (again I am reminded of the awesomeness of the running community) shared not only their favorite parts of these races, but also things to look for, what you can expect, and also—most importantly perhaps?—where to go in Traverse City to celebrate your race. Course map for the marathon, half marathon & 10K. /Courtesy Traverse City Track Club. 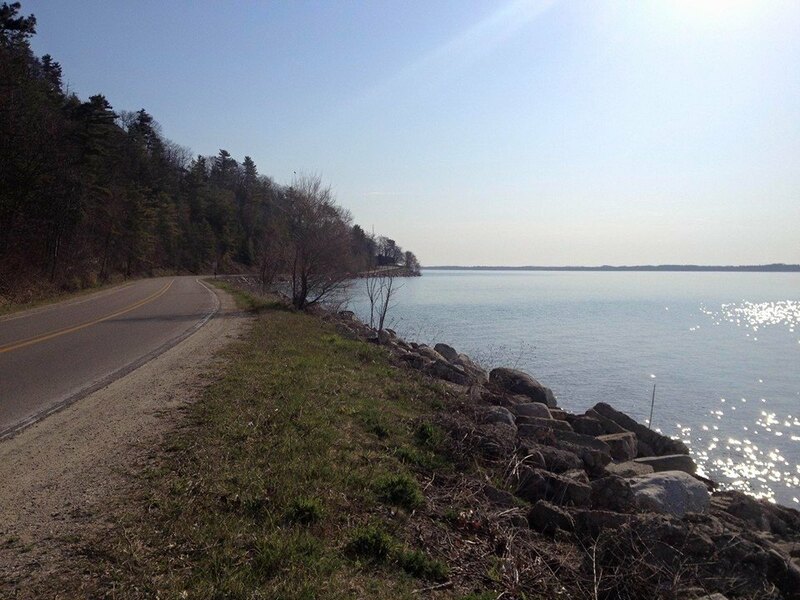 Old Mission Peninsula’s Bluff Road, part of the Bayshore race course. 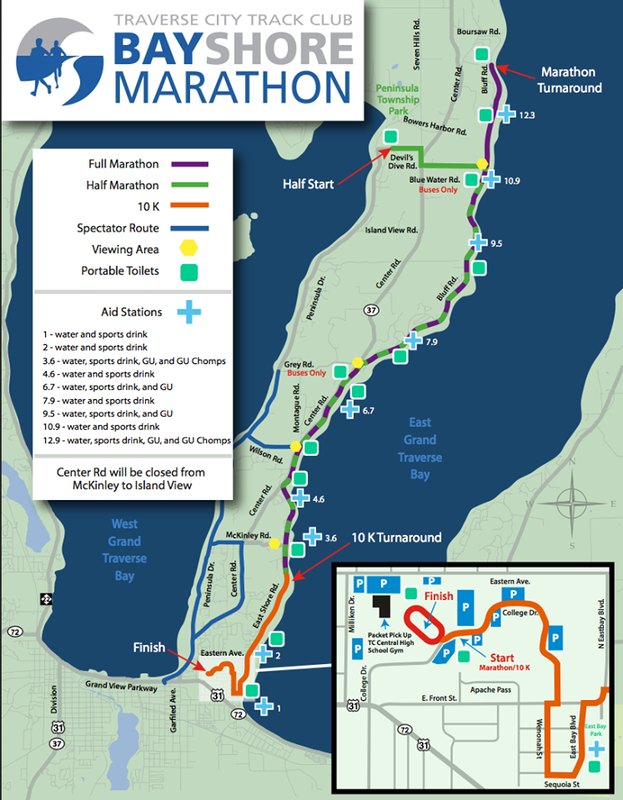 In recent years, the half marathon race start has switched from end of Bluff Road to Devil’s Dive Road, more on the west side of Old Mission Peninsula. Waiting together at the the half-marathon race start offers a festive vibe, runners say. With the marathon an out-and-back course, and half marathoners bused out to the half-way point for marathoners for their start, runners in these two distances end up passing one another. As a marathoner, it’s pretty amazing to watch the super-fast half-marathoners whizzing past. And as a half-marathoner, you get the chance to see the speedy 26.2’ers, too. Also, it’s just fun to pass other runners—in 2011 when I ran the marathon for the first time, I was thrilled to pass friends running the shorter distance. The Bayshore races are known for their beautiful spring scenery. /PHOTO courtesy the Traverse City Track Club. Holly points out the curvature of the road on this stretch—miles 9-13 of the half—can be tough. Some runners stick to the middle of the road while others run along the shoulder for best footing. At the finish of last year’s Bayshore races. Bubba’s is known for its scrumptious burgers. Looking for outdoor eating with a spectacular view? Check out The Franklin in downtown and request a rooftop seat. Traverse City also has a few spots for enjoying food truck fare: The Little Fleet, on the east end of downtown (order your food and grab a drink from the indoor bar while you wait), and The Lot, at 444 East 8th Street. Beth recommends The Towne Plaza, 203 Cass St.: “If it’s a nice day they will have a full patio set up and you may sit outside in their courtyard. They also have a dietary range including vegetarian. Don’t let the pig logo fool you!” I agree with Beth—I recently ate lunch here for my sister’s birthday. 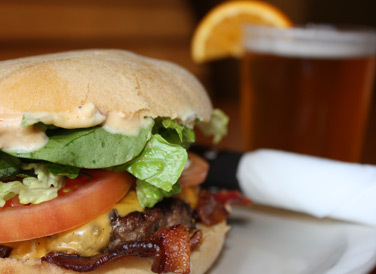 Delicious food and ample outdoor seating. Looking for delicious Michigan craft beer post-race? 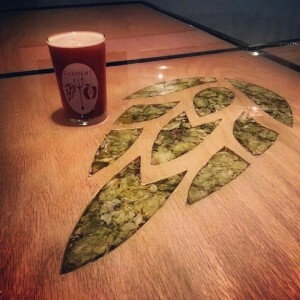 TC has lots of great breweries, including Brewery Ferment on South Union St. The Filling Station, 642 Railroad Place. Try their amazing flatbread pizza and fresh, creative salads (I love the Station Salad!) Fantastic beer, too. Brewery Ferment, 511 South Union. This boutique brewery offers a neighborhood, historic feel with a focus on the brew (light snacks served). And if you stop by, please be sure to say hello to owners Kirsten and Dustin for me — yep, I’m a bit biased as they’re my younger brother and sister, tell them I sent you! Check out the TC Ale Trail for more info on visiting each of the area’s breweries & brewpubs. Wishing everyone the most fantastic Bayshore race day! Thank you for a fantastic recap, cannot wait to run and now I cannot wait to EAT! Good Luck to Emma on her first half and the boys on their 10K! Bayshore is definitely on my list for next year and I’ll definitely be referring to this piece! Thanks for sharing.